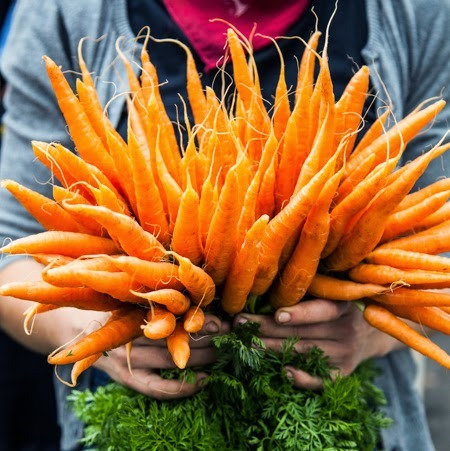 For this Meatless Monday, reap the rewards of more moderate climates with the first burst of early Spring, and green, green, green at the farmers markets. This weekend at the Texas Farmers' Markets, I found the best and brightest the market had to offer in broccoli, from Yummy Farms, leeks from Johnson's Backyard Garden, green garlic from Hairston Creek Farm, and crimini mushrooms from Kitchen Pride Mushroom Farms. Slice large broccoli florets in half lengthwise. Peel large stems of broccoli, and slice all approximately 1/4” slices. Chop any broccoli green leaves. Keep separate. Slice whites of leeks thinly. Separate into ringlets. Rinse under running water well (leeks, by nature of the way they grow, are notorious for hiding dirt between the ringlets and require thorough rinsing). Mince green garlic, both whites and greens, if tender. Wipe mushrooms with a paper towel. Trim stems. Slice lengthwise into thin slices. In a wok or large skillet over medium high heat, melt 1 tablespoon of coconut oil, and add broccoli stems (only). Stirring frequently, cook until tender, about 8 minutes. Remove with a slotted spoon to a paper towel-lined plate. Cover with foil or an upended bowl to keep warm. Add coconut oil if/as needed. Transfer leeks and green garlic to pan. Stirring constantly, saute until transparent, about 3 minutes. Remove with a slotted spoon to paper towel-lined plate with broccoli stalks. Keep warm. Maintaining about 1T coconut oil in pan, transfer mushrooms to pan. Continue to stir over medium high heat until slightly browned around the edges, about 4-5 minutes. Add sliced broccoli florets, and toss to combine. Stirring frequently, cook until florets are slightly wilted. Return stalks, leeks, and green garlic to pan. Toss lightly to combine. Season with Stir fry Sauce, below, by tablespoon, adding, tossing, tasting, correcting as necessary, adding more until seasoned as desired (anywhere from 3 Tablespoons to to ¼ cup). Warm through, then serve. The basic starting point for a tweak-your-own versatile sauce and dressing you'll be putting on ERRYTHING this week. Add and/or subtract according to your own tastes, and make it your own. Place all of the ingredients in a blender and pulse on low speed until well-blended. Note: This will yield more than required for this dish, alone. Reduce as desired, or make the full batch and use as a salad dressing, or marinade. This dressing keeps up to a week refrigerated. Disclosure: This dish was developed and prepared by me in my role as Market Chef for the Texas Farmers' Markets. All vegetables were provided free of charge for promotion by market vendors. Questions about what do with your seasonal market selections? I'll be back at the Lakeline market on March 25, and the Mueller market on March 26, 2017. I'd love to see you there. For an in depth class on making the most of your CSA share or local farm bounty, join me in Austin in partnership with Johnson's Backyard Garden for The Seasonal Plate| March 28 for dishes, demos, prep tips and more, and take home a full CSA share of your own. 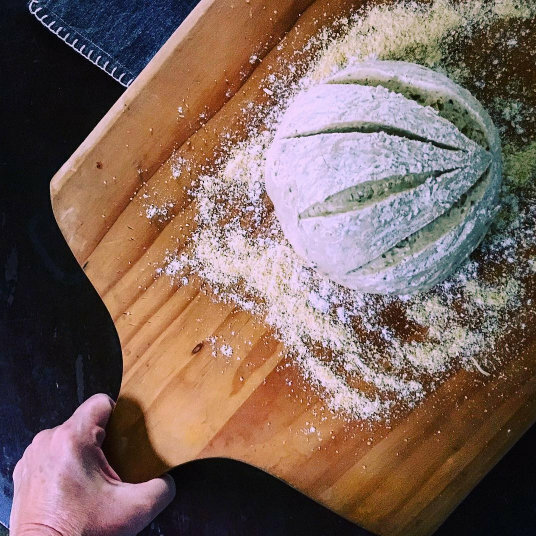 Mornings after big cooking classes are usually spent recovering-- getting my little old home back in order, giving my ornery back a rest, and in the case of morning after bread-making classes, baking off loaves for the neighbors. I kept this small loaf today-- it's a smoked pepper and salt flake olive oil bread that I've eaten for breakfast and lunch with butter and fresh rosemary. For dinner I'll add sliced cherry tomatoes, radish, maybe hastily mashed and salted avocado instead of the butter. Or in addition to. Van Morrison serenades me over the comforting hum of the (new!) dishwasher from the living room, keeping me company along with Jack, my dog, who waits for errant crumbs with the rapt attention of a soldier on sentry duty. Perhaps it's maturity. I don't know. But in this little home, as I learn to focus on my passions and shut out the noisy din of the nothing sometimes said out there, I've found peace in the simple. It comforts me. I wear a serene smile for no one but me as I reflect on my blessings. This is bliss. As Van sings, "Well, my mama told me there'll be days like this". Want to learn how to bake bread? Check out March's bread baking classes here. 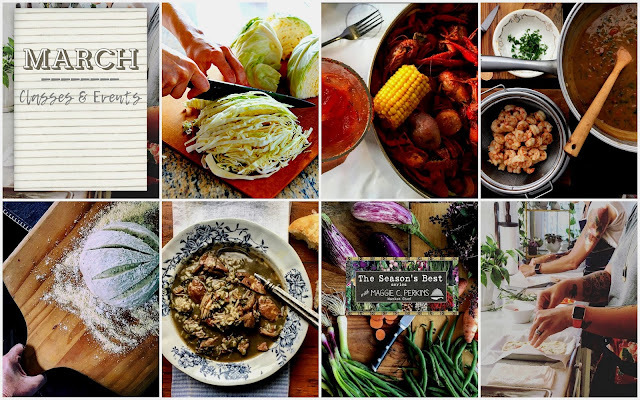 Welcome to a new feature on Notes from Maggie's Farm-- an entire page devoted to Classes and Events. Below, find out what I'm up to in the month of March, then check back by clicking on the link in the navigation bar, above. You'll find featured monthly events and my calendar, updated as classes and demos are added. 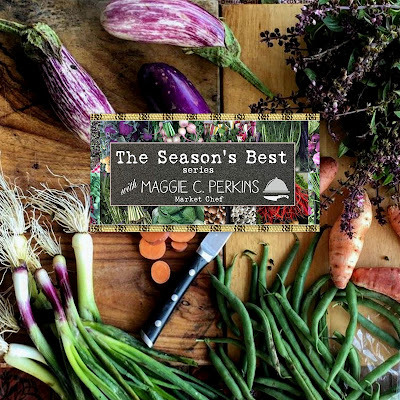 Thank you for keeping up with all that's going on with Notes from Maggie's Farm. It's an honor to share my passion-- supporting local farmers and food artisans--for a third year. 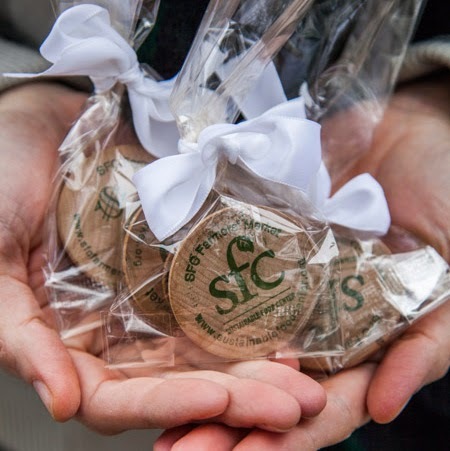 This third annual guide sees a few changes in hours and locations for local markets. You can see the first annual guide, here, for reference, if you're curious. Thank you for your interest and patronage of our local wholesome food purveyors. Welcome to Austin. We're happy to have you. Have a great time while you're here! As a contributor to the Austin Food Blogger Alliance 2017 City Guide, #ATXBESTEATS, I have the pleasure of sharing what's near and dear to my heart, and my appetite-- Farmers' Markets in Austin. I spend a lot a time around the markets and I've come to love the sense of community, the availability of peak of the season fruits and vegetables, and just for hanging out, eating delicious prepared foods, and jamming with the band. I'm even a farmers' market chef. Join me on a fresh adventure around Austin and thank you for supporting your local farmers! 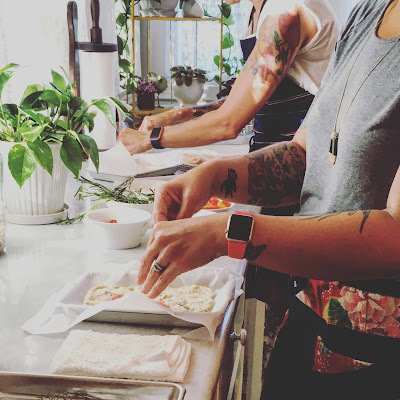 The challenge to traveling light and lean is often the lack of healthy, wholesome food among the greasy spoons and fast food one often settles for on the road. In absence of sound nutritional and convenient choices along the highways and byways, a drive-thru salad day old salad bereft of color and flavor with a hefty squeeze of what passes for ranch-style dressing is about as healthy as you'll find. Yet how, and where you choose to fuel your body will go a long way toward energizing you for vacation days, and nights, of walking, and partying, during SXSW, or any time spent knocking around Austin, for that matter. Now, just how many greasy burgers are you going to stuff in your face before you start feeling the effects of haphazard and hasty food choices? Sluggish, bloated and worn down is not what you're after when you're on the go, go, GO. Treat yourself right. When your body starts to disapprove of that typical road food fare (or all that barbecue you've been scarfing down? 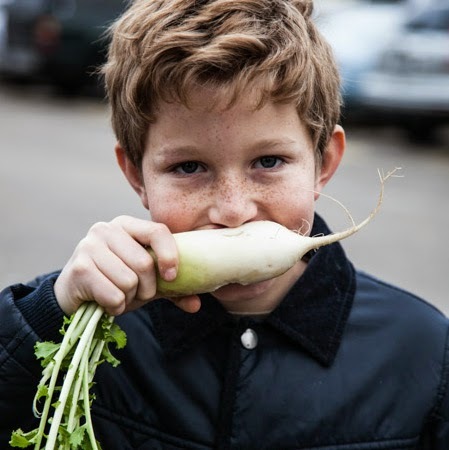 ), head over to one of Austin's friendly farmers' markets and dig right in for a little digestive rescue. You'll find farmers, ranchers, beekeepers, prepared foods to eat on site or take away, and in many instances, art, body care, clothing, jewelry, ponies, petting zoos, family-friendly special events and even FREE LIVE MUSIC. Really! No wristband required! Austin, and the surrounding area, is filthy with food choices from farmers' markets and local farm stands almost every day of the week. A comprehensive listing and map of all Austin and surrounding area farmers' markets, sorted by day, can be found at Edible Austin. 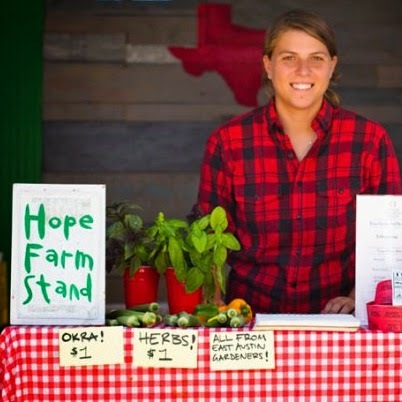 Below, find listings for all farmers' markets, certified by the Texas Department of Agriculture, within the Austin city limits. Feel like going straight to the grower? You're not far from the source. Several urban farms operate within the Austin city limits, and at least two of those farms lay claim to some of the friendliest folks you'll meet in Austin. 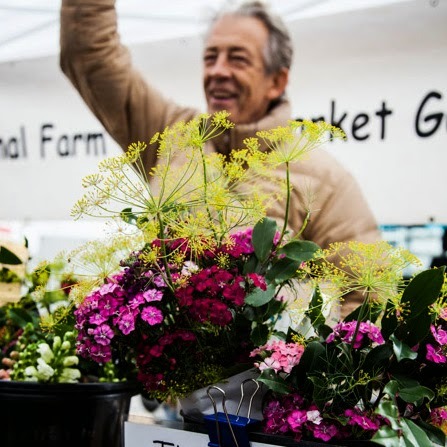 Stop by these flourishing East Austin farm stands where you'll find tables teeming with abundant, freshly-picked produce and more. and be sure to check out additional recommendations in every category of food and drink under the sun, at #ATXBESTEATS, the Austin Food Blogger Alliance City Guide 2017. Disclosure: As mentioned above, I work as a market chef contractor with Texas Farmers' Markets, the operator of markets at Mueller and Lakeline, listed above. . 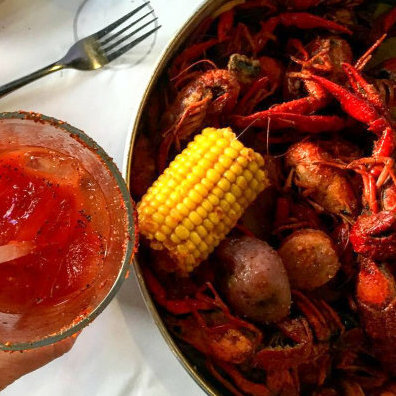 Welcome to the 7th annual Creole Crawl, a guide to Cajun and Creole fare in Austin. I've set forth on the delicious adventure to suss out the best of the best Louisiana regional cuisine offered right here, in the heart of Texas. Along the way I've discovered new gems, gone on wild goose chases, revisited old haunts, reconsidered popular favorites, EATEN MY WEIGHT IN GUMBO, and as always, run into some of the very nicest people. 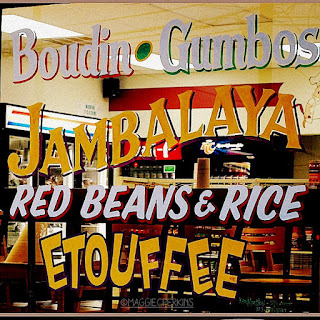 Folks who are enamored with and devoted to Creole/Cajun cuisine truly are filled with la joie de vivre. Spend a little time with them and you'll see-- it's infectious! 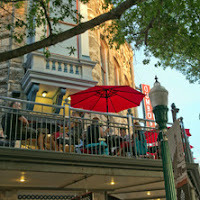 For the purposes of this overview, I dispense with my somewhat lengthy history, thoughts, opinions, reviews, etc, and simply share a brief listing of everything that's out there in Austin and surrounds. For more in depth discussion, please visit the inaugural guide. And keep an eye open for individual reviews of each establishment coming soon on Notes from Maggie's Farm. Currently craving: Oysters Contraband and a seat by the band. Hours: Open 6 days. Weekday lunch. Dinner. Closed Sunday. Call for hours. Hours: Open 7 days Breakfast/Brunch/Lunch/Dinner. Various open and closing times. Call for hours. 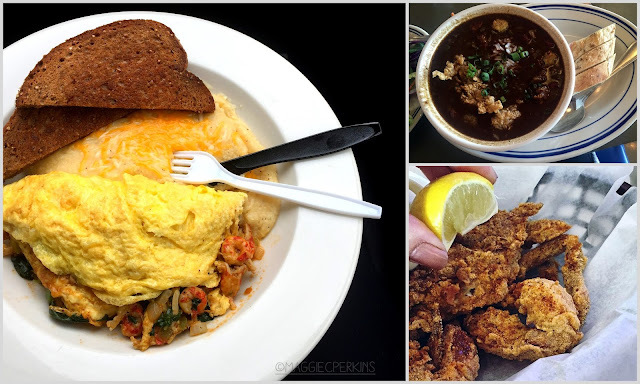 Currently craving: Grits and Grillades or Eggs Sardou. This is hard. 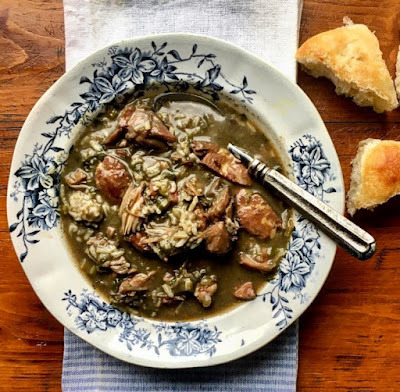 Currently craving: Smoked Duck Gumbo and the choir of Creole angels I hear when it's served. Hours: Open 7 days, lunch/dinner, 11am-9pm, Fri-Sat til 10. Currently craving: Crawfish Pirogue, ice-cold Turbodog, and a winning Saints game. Hours: Open 6 days for lunch/dinner. Closed Sunday. Call for hours. Currently craving: Homemade pie and genuine Southern hospitality. Hours: Open 7 days, lunch/dinner. Call for hours. Hours: Open 6 days, Closed Tuesday. Call for hours. Currently craving: Roast Beef Debris Gravy on hot, crisp french fries and some Lou Reed on the jukebox. Currently craving: Grilled Shrimp Robert and happy hour on the patio. Hours: Open Tuesday through Sunday, lunch/dinner. Call for hours. Currently craving: Shrimp poboy and and their ambrosial Hurricane. Hours: Open 7 days, breakfast/lunch/dinner, Call for hours. Currently craving: these Shrimp and Grits. You'll be sated for days. Hours: Open 7 days, brunch/lunch/dinner. Call for hours. Hours: Open 6 days, 10:30am-9pm. Closed Sunday. Currently Craving: East Coast, Gulf Coast, and grilled- plump, briny oysters with chilled bubbly, please. Currently craving: New Orleans BBQ Shrimp and a loaf of Gambino's French bread for home. serves a menu not fully devoted to Creole/Cajun food. is terrific. 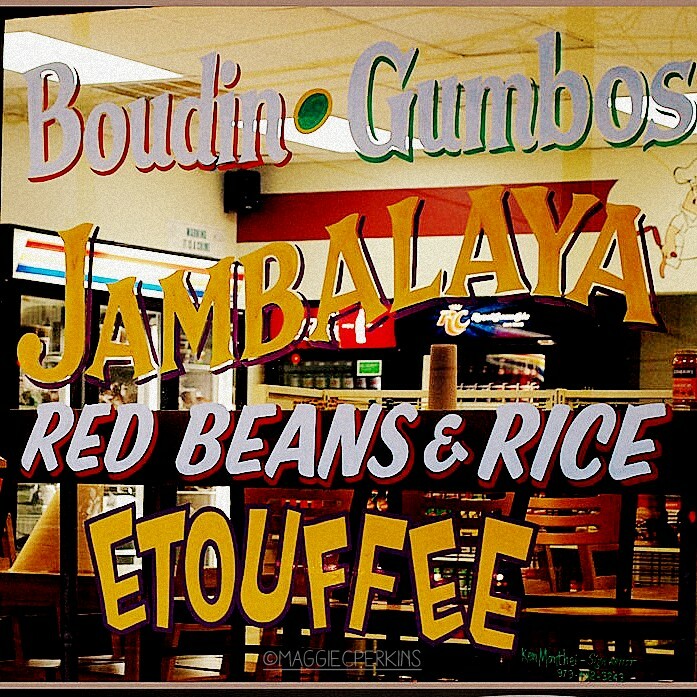 Just not Creole/Cajun. Each has a following-- I may or may not be among the following, but I'd be remiss not to include them. I enjoyed a beautifully-prepared fried softshell crab at Surf & Turf, pictured, also in Cedar Park. Northwest Austin's Pacific Star Seafood is cheap. Red's Porch, on South Lamar, has a GREAT patio, Texas-based Pappadeux serves consistently good plates, and speaking of chains, there's still a Razoo's in Round Rock for a quick, very fried Cajun fix. Nubian Queen Lola uses proceeds to feed area homeless, Original New Orleans Poboys newest digs boast the diviest bar on the list, and Turf N' Surf Poboy's only claim to Cajun is blackened seafood at their 2 walk-up locations. But it's damn good seafood, I'll give you that. Cherrywood Coffee House serves fried seafood and poboys, and their weekend brunch Crawfish Omelet, pictured, is knockout good. Hoover's Cooking, on Manor, is more southern comfort than Cajun/Creole per se, but étouffe smothered fried catfish for breakfast. On biscuits?? Oh yes. Yes indeed. And lastly, newcomer Liberty Kitchen, a chic and hip-swank downtown spot, serves one of the best bowls of gumbo, pictured, I ate in Austin last year. Check out their happy hour. A relative newcomer, I haven't had the opportunity to try La Gris Gris, located in the backyard of C-Boy's Heart & Soul on South Congress, but I'm looking forward to remedying that situation real soon. Their food pictures look righteous. Great excuse to get back to C-Boy's. As if I needed one. I'll report back. Mais cher, I think that's IT! But I may be wrong. Who serves your favorites? Know where the perfect jambalaya is on the menu (because in all of my eating, I didn't find one that thrilled me, and a few down right repelled me)? Favorite spot to watch the Saints? The Tigers? The Ragin' Cajuns? Want to offer a little feedback on the places mentioned? LOVE to hear it. Give me your thoughts and let's LAISSEZ LES BON TEMPS ROULER, y'all.